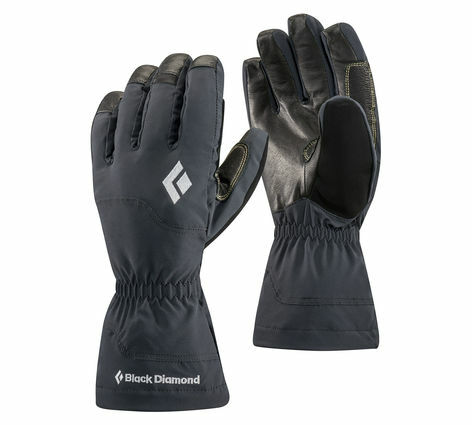 From snow-blown ridges in the Rockies to sunny spring ascents on Rainier, the Black Diamond Glissade glove packs four-season versatility into an affordable yet high-performance design. Built with a BDry™ waterproof breathable insert and stretchy Pertex® Shield shell fabric, the Glissade fends off spindrift, slush and sleet. A fixed fleece liner and 100 g Thinsulate® insulation on the back of the hand keeps cold temps at bay while a Kevlar®-reinforced goat leather palm holds up to extended rappelling and rope work.